In the video above, Dr. Greg Rose explains how you can determine a golfer's training needs by using our screens for power and strength. There’s no denying that distance matters. 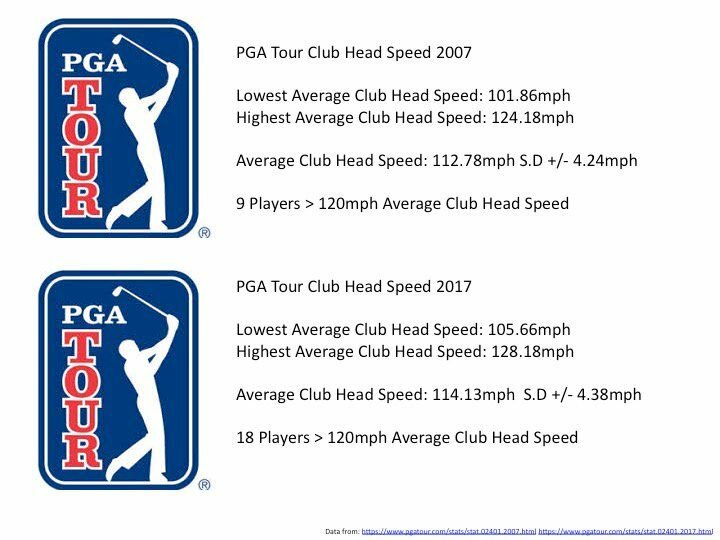 Data released by the PGA tour recently shows the game is changing and if you want to compete with the pros you need some serious clubhead speed. Research has also shown a correlation between increased driving distance and a reduced handicap (4). Driving distance and clubhead speed can be increased by equipment changes, swing changes, etc, but ultimately the governor of clubhead is your body and the amount of force your body can in the split-second golf swing. Choosing the right exercises to do is therefore a vital factor in increasing clubhead speed. With this in mind, a few months ago, I ran a video series on instagram, in which I asked some of the best golf fitness coaches on the planet (people like Greg Mclean from PFS golf, Mike Carroll, Jordan Jeske, the guys at Golf Fit Ltd, to name a few) to put forward their favourite exercises to increase clubhead speed. I gave these experts no direction on exercises I wanted to see or anything like that and pretty much every exercise that came back had one or two similarities - massive posterior chain activation and progression from slow to high velocity. With this in mind then, it is perhaps unsurprising that the vast majority exercises were hip hinge variations. But these exercises don’t look like the golf swing so how do they increase power in my swing? Firstly, whilst the golf swing is largely dependent on rotational and lateral movement to develop power, there are elements of vertical and horizontal power to varying degrees – the pelvis will be closer to the ball on impact than at posture, this means there is a hip extension moment as we approach the ball in the downswing, for most. This means that the motions of hip extension that massively recruit the posterior chain will carryover to the golf swing. Indeed, golfers with a scratch h’cap demonstrated significantly greater hip strength than their higher handicap counterparts (2). Another study found faster hip extension motions were the key to more explosive movements in the frontal plane (3). In short, when training to produce maximal power and speed, whether in the sagittal, frontal or transverse plane, developing the muscular strength of the primary hip extensors (i.e., the gluteus maximus and hamstrings) must be a primary concern (1). Another common theme was the idea that you need to get strong in the movement before you begin to add speed or velocity. Far too many times amateur golfers lack the base of strength they need to swing fast, but nevertheless attempt to jump straight to the high speed training modalities to get faster. Put simply, less strength equals less speed. Yes, there are many facets of power development, you must work on how quickly you can develop force and swing technique of course plays a huge role, but without adding horsepower to the body, you'll always be limiting the potential benefits. Think of it like a car: You can speed up the transition, increase the efficiency of the engine, add slick tyres to reduce friction, etc, but ultimately until you put more horsepower in the engine your speed will always be limited. We are no different. Once you have built a general base of strength and can generate force into the ground you can then move across the strength-speed continuum and start to improve your rate of force develop - that is your ability to recruit force quickly. The need for this is intuitively obvious - the golf swing occurs in less than a second after all - it doesn’t really matter how strong you are if you can’t recruit that force in a short space of time. The caveat to this is that the more force you can produce full stop the more force you will be able to produce quickly. Remember - build your base of strength first, before jumping (no pun intended) into power modalities. 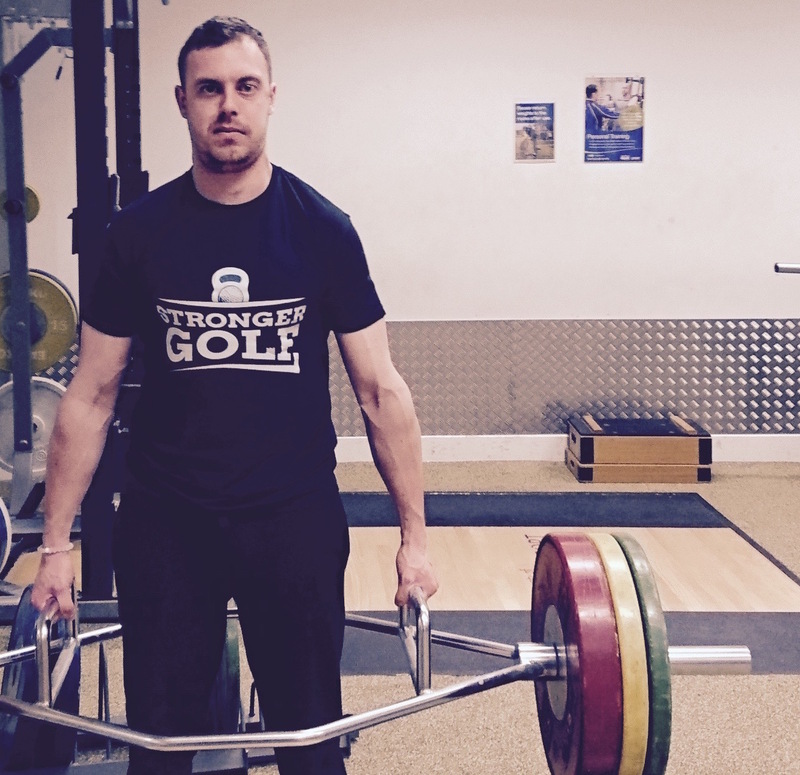 Nick Buchan is a TPI certified golf fitness professional and strength coach. Through his company Stronger Golf he delivers a proven, evidence based approach to create a new breed of stronger, faster, move athletic golfers. Golfers who are more coachable, achieve higher levels of skill mastery, play injury free, and for longer as a result of improved physical fitness. You can find out more about online coaching and other services by visiting the website www.strongergolf.co.uk or by emailing nick@strongergolf.co.uk. 1. Beardsley, C; Contreras, B (2014) The Increasing Role of the Hip Extensor Musculature With Heavier Compound Lower-Body Movements and More Explosive Sport Actions. Strength & Conditioning Journal, 36 (2) - p 49–55. 2. Sell, T.C., Tsai, Y.S., Smoliga, J.M., Myers, J.B. and Lephart, S.M., 2007. Strength, flexibility, and balance characteristics of highly proficient golfers. Journal of Strength and Conditioning Research, 21(4), p.1166. 3. Shimokochi Y, Ide D, Kokubu M, Nakaoji T. Relationships among performance of lateral cutting maneuver from lateral sliding and hip extension and abduction motions, ground reaction force, and body center of mass height. J Strength Cond Res 27: 1851–1860, 2013. 4. Torres-Ronda, L., Sánchez-Medina, L., & González-Badillo, J. J. (2011). Muscle Strength And Golf Performance: A Critical Review. Journal of Sports Science & Medicine, 10(1), 9–18.